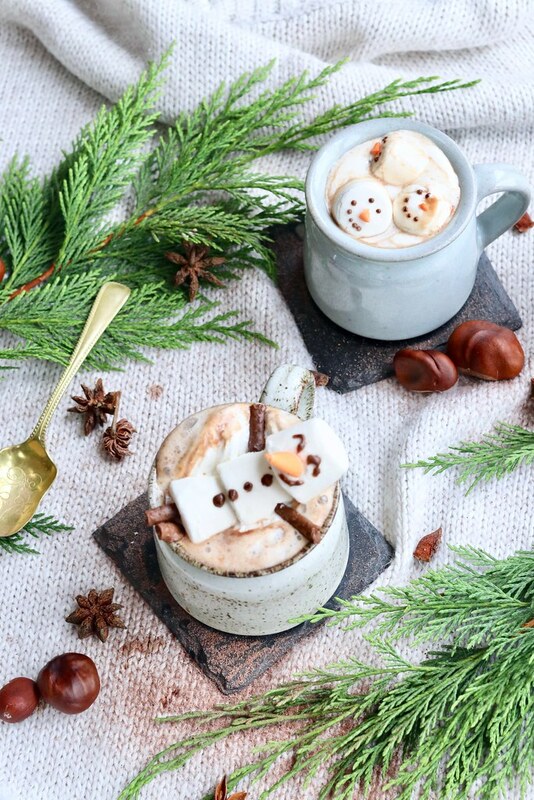 Can you get anymore Christmassy than a mug full of chocolatey goodness with floating snowmen? I think not(!) This recipe is perfect for cold afternoons when all you want to do is lie on the sofa and watch countless festive films. Grab your favourite mug and follow this super simple, 3 step recipe…..
1. Using a cocktail stick attach 3 marshmallows together and decorate using coloured icing. 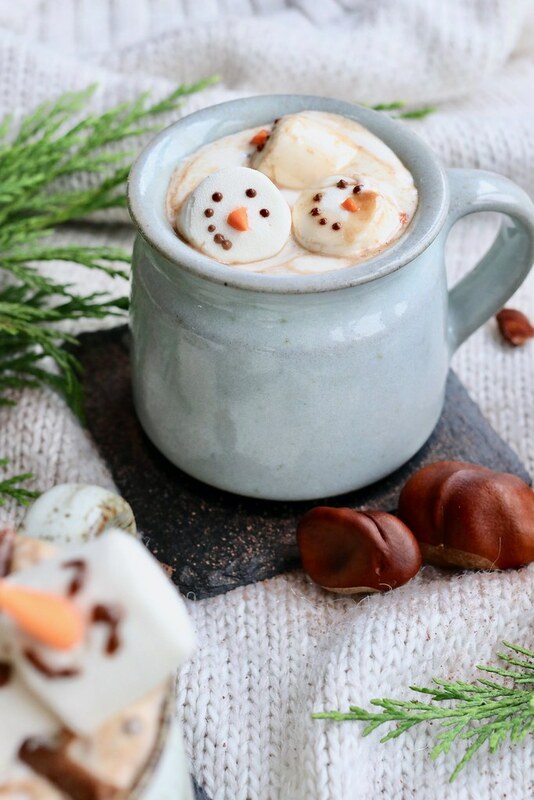 (If you prefer just the snowman face you need to decorate 1 marshmallow and pop him in your mug after the cream). 2. Add your drinking chocolate to a pan along with the milk, bring to simmer but do not let boil!! Add peppermint extract and stir until combined. 3. 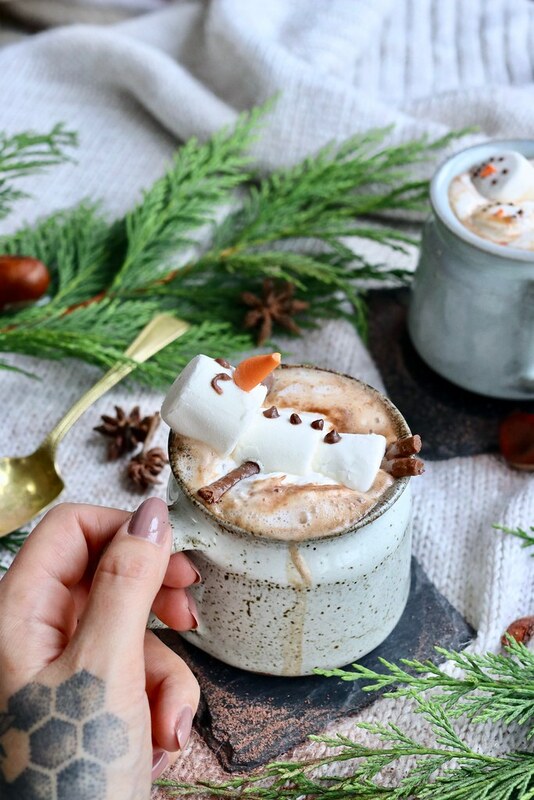 Fill up your favourite mug, top with squirty cream and lie your snowman on top. Tadaaaa, present this to your friends and family and it will put an instant smile on their faces. Let me know if you try this recipe, i’d love to see your pictures too, make sure you tag me on instagram!! That looks AMAZING!!! And the little snowmen are absolutely adorable. Definitely going to have to try this!